Home > Blog > When Should I Pull Out My Child’s Loose Teeth? When Should I Pull Out My Child’s Loose Teeth? One of the rites of passage for a growing child and their parents is when they lose their baby teeth. There are many ways parents help their kids pull out loose teeth that make for bonding experiences (or even funny videos). This ritual, combined with the concept of the tooth fairy can make a potentially scary experience a fun one for most kids. As teeth can become loose in other unnatural ways, parents need to be aware of the difference between the common loose tooth and damage of some kind. Kids are very active, and they easily can find themselves in situations that can damage their teeth. Whether they fall and hit the ground, or get hit by a ball, their teeth can become dislodged, loosened, or even broken. 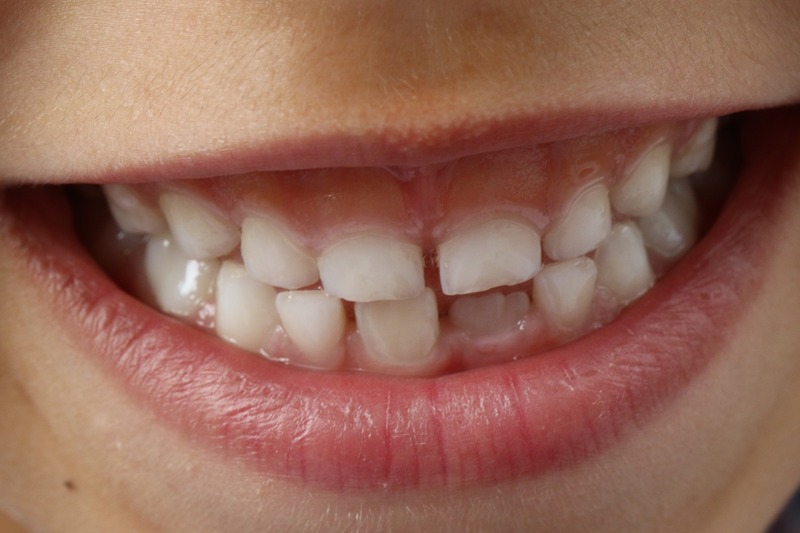 When kids are growing, their baby teeth are eventually pushed out by adult teeth. This is a completely natural and safe thing as long as you and your child wait long enough for the adult tooth to come in at the bottom. Typically, adult teeth come in in the same order as baby teeth did, serving as a guide to parents as to what tooth is ready to go and which need to wait. If at all possible, its best to wait until the tooth comes out naturally. When kids pull teeth prematurely, they can cause damage to the root or cause sensitivity. Most of the time, it is easy to tell that a tooth is ready because of how much it wiggles. Slightly loose teeth are not always ready especially if the adult tooth is not ready underneath. The most common injury you see is when teeth get knocked out, such as with hockey players. Some impact or damage can completely dislodge a tooth. If your child comes home with a knocked out tooth, it’s important to know that you can still save the tooth by taking a few steps. The most important thing to remember with knocked out teeth is that time is of the essence. Recovering the tooth and seeing a dentist as soon as possible is the best way to ensure there is no long term damage. If it’s not possible to see a dentist immediately, keeping the tooth in milk will help keep it alive longer. Other times, a tooth can become partially dislodged or moved aside. Whether it is knocked further into its socket, or becomes partially ripped out, the result is the same. A dentist can help repair the damage and prevent long term issues as long as the situation is handled quickly. It’s important to remember that most ERs are not equipped with the same dental technology as dental offices. Unless it’s a true life-threatening emergency, ER doctors will likely not be able to help with injuries to teeth. The best thing to do is see your dentist as soon as possible, or find an emergency dental office if it’s after hours. Dental damage, in the form of a loose/broken/knocked out tooth, or more serious oral trauma can be scary for both parties. It is important to remember to keep calm and contact your dentist with an emergency. Most of the time, damage can be repaired helping preserve your child’s smile. If you have any questions about your child’s oral health or want to make sure everything is the way it should be, contact us at Hassey/Do Duy today and make an appointment.